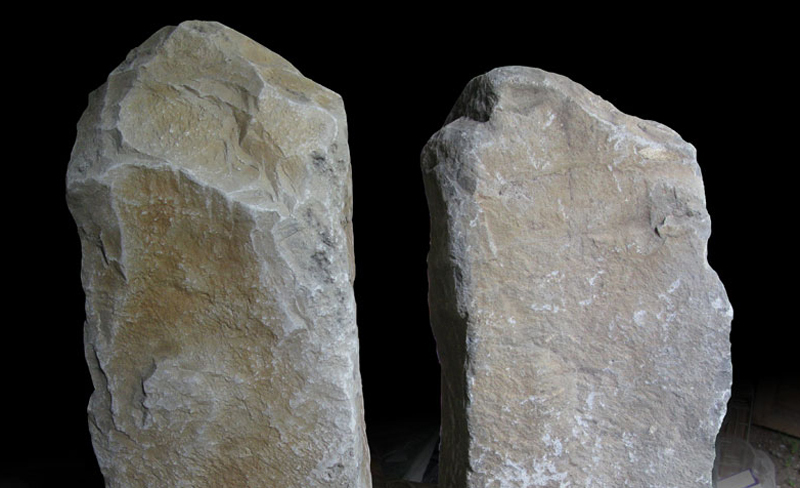 From monolithic rock walls over 10,000 square feet to intimate backyard waterfalls, Wavestone sculpture delivers the highest quality in craftsmanship, artistry and realism. We've got this down to an art - literally. 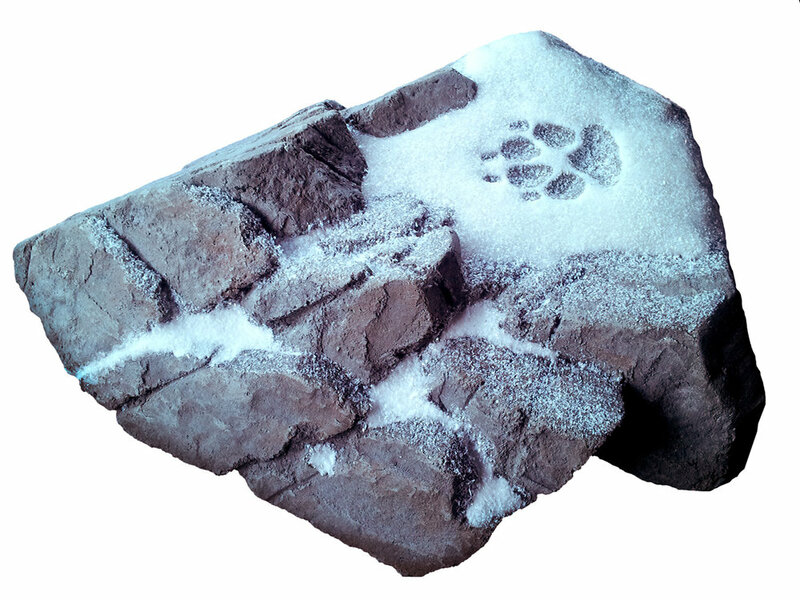 Wavestone rock work is made from custom hand sculpted and painted concrete which will outlast all other artificial rock products such as fiberglass or plastic. Concrete is not only durable, it's made from a variety of stones and minerals - it's the material of choice for all professional artificial rock fabricators. Basalt Rock Retaining Wall North Vancouver BC made with hand sculpted concrete! Concrete Rock Retaining Walls provided by local Bowen Business Wavestone Sculpture. NEW Resin Snow and Ice! Wavestone now produces snow and ice for interactive exhibits! These samples were recently developed for an indoor visitor centre which requires an extremely tough material for public contact. The snow and ice look exceptionally real especially when placed within our rock work! The snow and ice can withstand any climate condition and is suitable for underwater designs - such as polar exhibits! 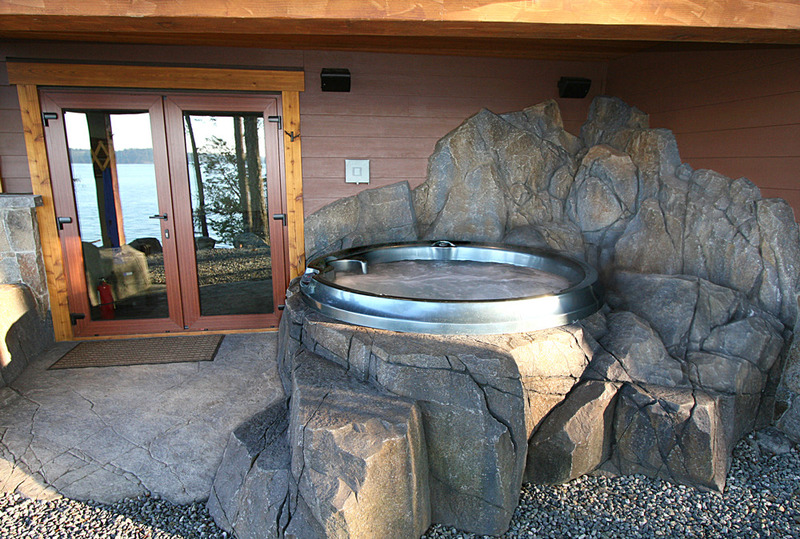 This cozy rock surround was built around a Jacuzzi J-210, transforming a small walk out patio into a spa oasis that blends right into this stunning west coast property. 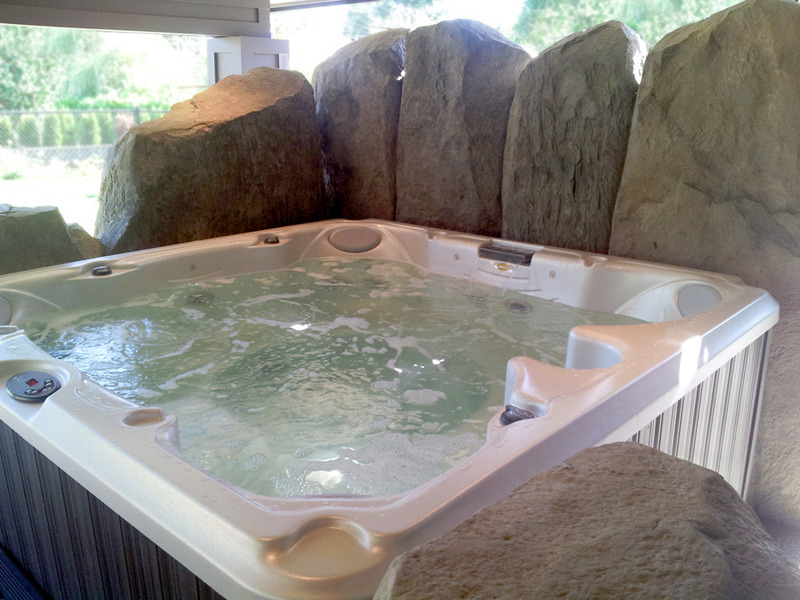 The rock surround was hand carved with GFRC on location. GFRC basalt columns hand carved on site. Great for privacy! 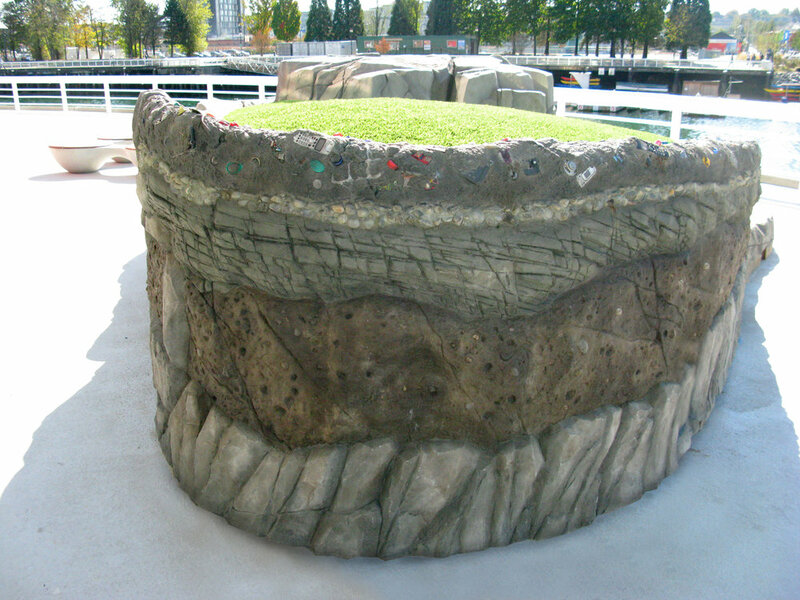 We recently finished the rockwork for a new outdoor exhibit at Telus World of Science in Vancouver BC. The exhibit contains a stream table, geoslice and mound for visitors to explore, learn and play. 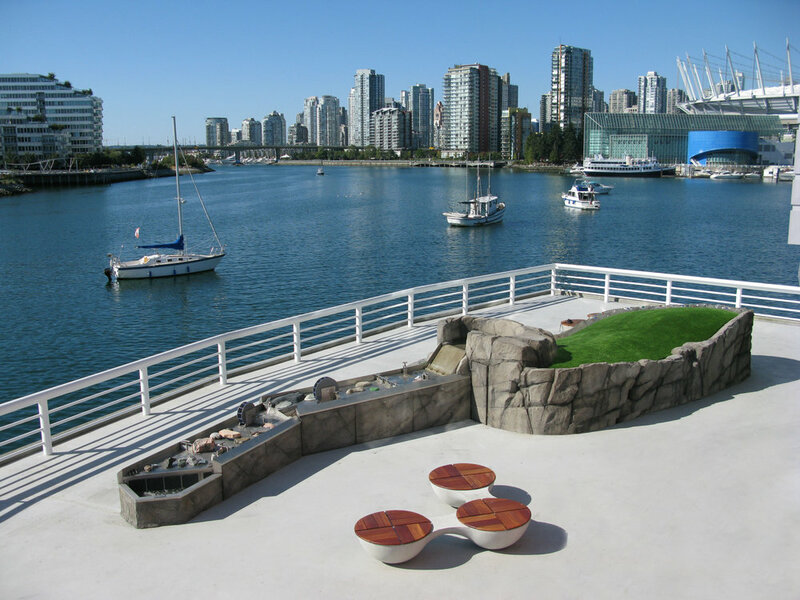 It is located outside on the deck facing False Creek. The Geoslice is a representation of the earth below Science World. From bottom to top the layers are Basalt, Conglomerate, Sandstone, Gravel/sand and Modern Fill earth. Wavestone can create geoslice examples at any scale and for educational climbing walls. 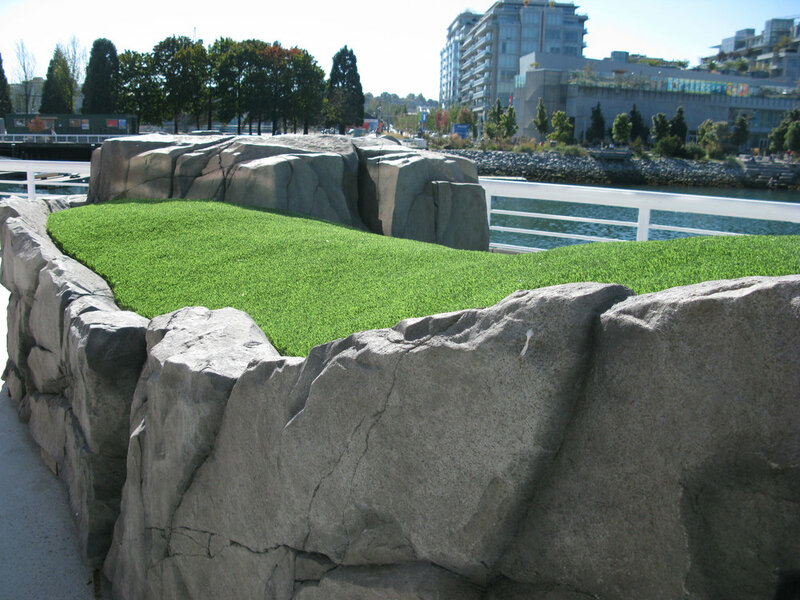 The top of the mound was covered in artificial turf and this combination of artificial rock and turf is perfect for recreating a natural environement on decks and building structures that require light loads. 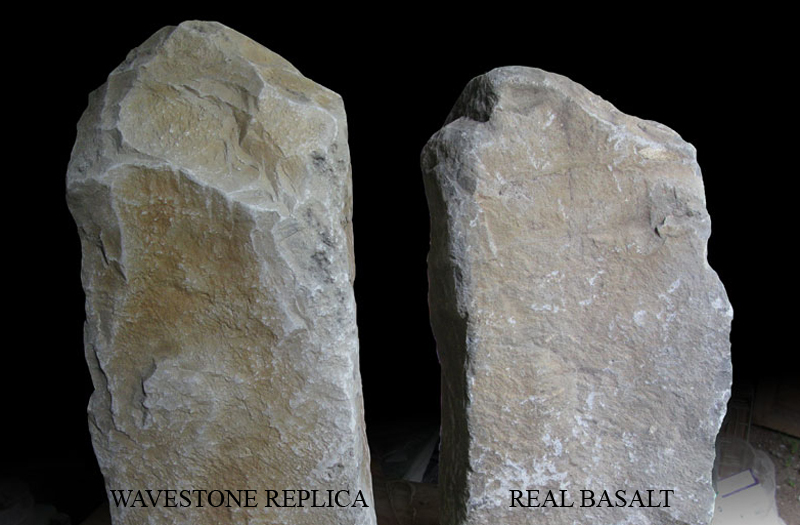 Which Rock is the Replica? One of the rocks below is a Wavestone replica and one is real basalt. 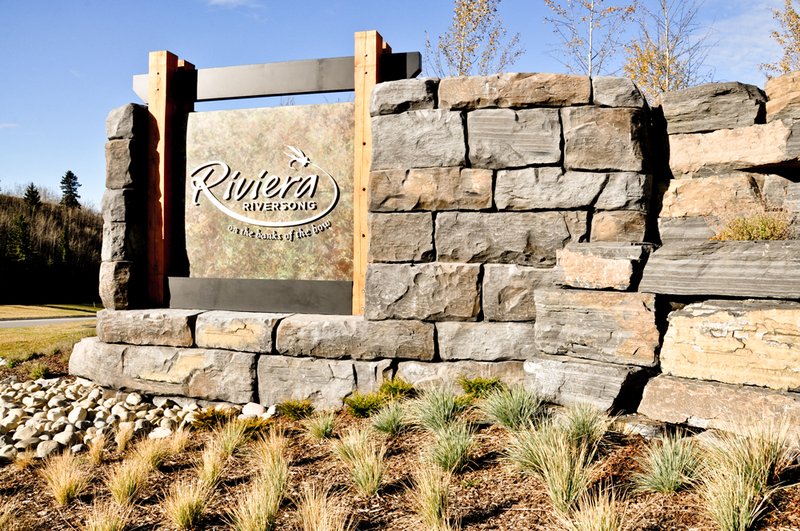 A local architectural firm in BC set the bar by claiming that only the best rockwork companies can replicate basalt. Do you think we passed the test?